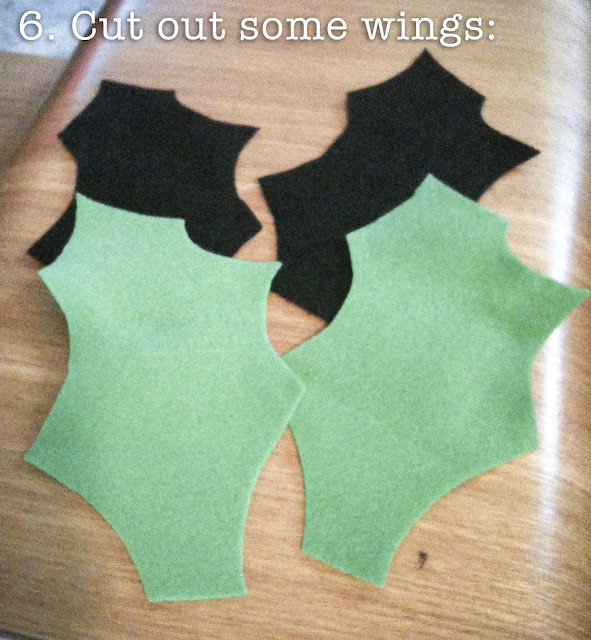 Lyndsay Johnson: Halloweenish Bat in 10 Steps! 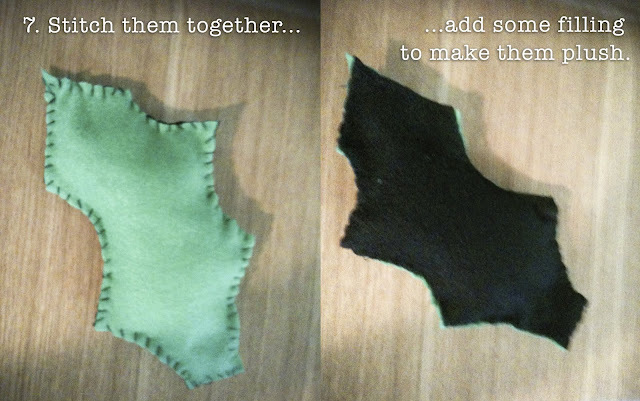 Halloweenish Bat in 10 Steps! 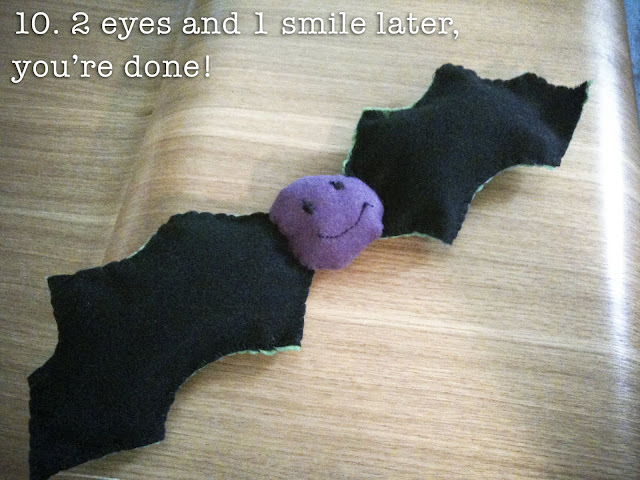 This bat is an easy, haphazard project. It took me 4 episodes of Charlie and Lola (on DVD, so no commercials) to complete. Finn was ecstatic. 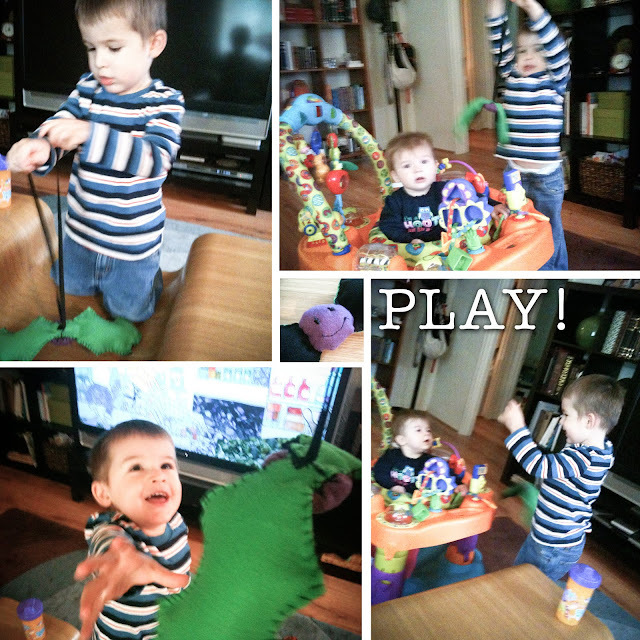 He's been asking every day for a "flying bird," which of course means a Halloween Bat! 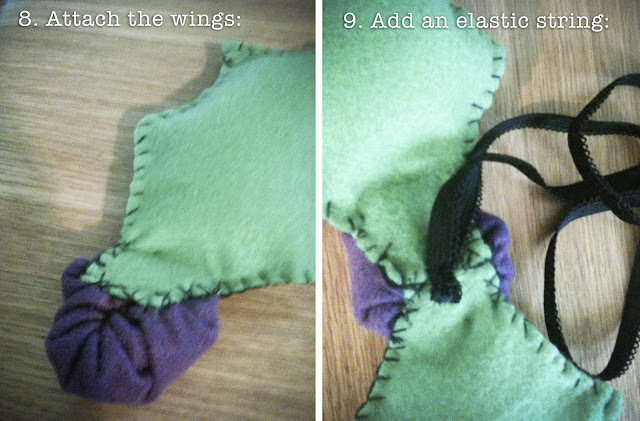 • Only a very small amount of sewing skill. I think it's hilarious that you measured the time it took you to make it in C & L episodes. Such a mom thing to do. Looks super cute! SO cute- and I love Charlie and Lola! How much fun is that :) I love it!